John Kiernan lives on Grosvenor Avenue in Winnipeg, Canada - the childhood home of Neil Young. Last week, Kiernan looked out of the window to see his wife talking with "two strangers" on the front lawn. "And I'm looking around, and I realize, this guy having a tuque on [a kind of loose beanie] has really great boots on, these sort of cowboy, motorcycle boots. And he was wearing really nice leather pants. 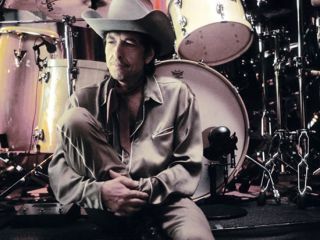 And I realize I'm staring face-to-face with Bob Dylan," Kiernan told CBC News. Bob, and manager, were of course invited in with open arms. They were particularly interested in Neil Young's bedroom, which Kiernan was only too happy to show them: "OK, so this was his view, and this was where he listened to his music." The duo left to play Winnipeg's MTS Centre later that night (2 November).